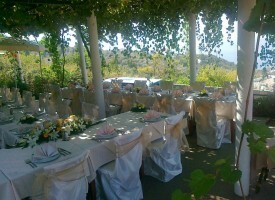 At only a few minutes drive from Petrovac and ten kilometers from Budva, Giardino restaurant is far enough from the city noise, but close enough for one of the most important days in your life – for your wedding! 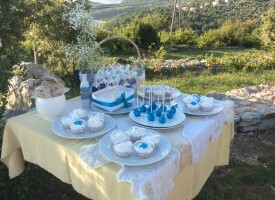 Family atmosphere with plenty of positive energy, excellent dishes of meat and fish, domestic wine and brandy, friendly staff and a phenomenal view of the Adriatic Sea will help you make best memories. 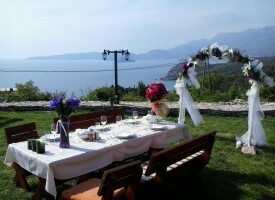 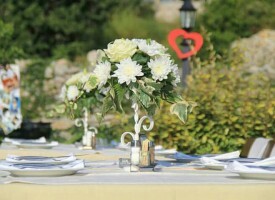 Make photos in our garden, under the olive trees or wild flowers, and beautiful Adriatic Sea in the background. 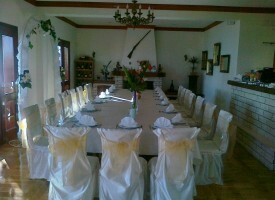 Please feel free to contact us for any kind of agreement and reservations for your wedding.